Hence demands and expectations of customers change! 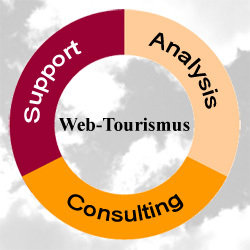 Tourism research and tourism consulting experienced and competent from one source! Distracted by daily business routine the affected ones often notice such changes and the resulting new demands too late to react by using their own force and to head for new ways. This change has also an essential impact on the tourism industry which is generally considered as one of the most sensitive branches. Dealing with travelling, dreams of holidays and freedom, whishes, hopes and expectations of people requires more than just pure economically driven business know-how. Today tourists are often considered as irrational or multioptional. They behave more and more illoyal and price-sensitve whilst constantly rising their demands and expecatations. This applies a lot to standard services as well as average services. Nowadays travellers are booking and paying for a 3-star accomodation but expecting services of a 5-star hotel for example.